At Jervey, we want you to see well and look good. 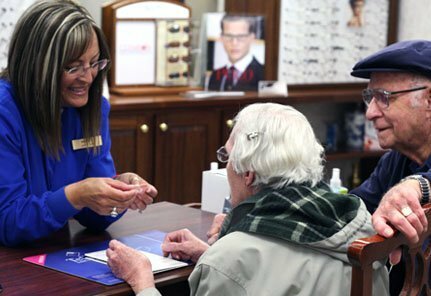 Unlike most eye care providers, we also support your optical needs with expertly crafted eyeglasses, sunglasses and contact lenses. Our large selection of fashion frames includes both glasses and sunglasses at a variety of price points. We carry the largest frame selection in Greenville, and you’ll find everything from basic frames through designer wear. Our digital free-form lenses provide you with customized design according to all of your wearing parameters. You’ll find our contact lens selection to be extensive. Ordering and re-ordering are convenient, and our prices are highly competitive. Our approach is different, because we go beyond simply correcting your vision. Through digital surfacing, we optimize it to provide sharper, crisper vision than you’ve ever had before. Request an Appointment Jervey Eye Group’s Laboratory is a state-of-the-art, all-digital lab that is the only one of its kind in the region. Unlike most eyewear providers, we fabricate your glasses right in our lab, and our computer-assisted equipment ensures we receive the highest possible accuracy in creating your lenses.